Greetings! 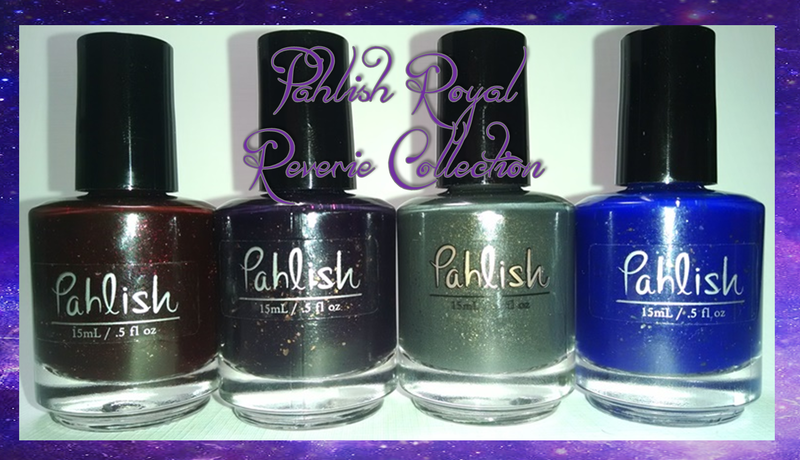 Today I have half of the Royal Reverie collection from Pahlish. This collection is made up of 8 gorgeous shades that are perfect for Fall. I've got 4 of the polishes from the collection to share with you today! 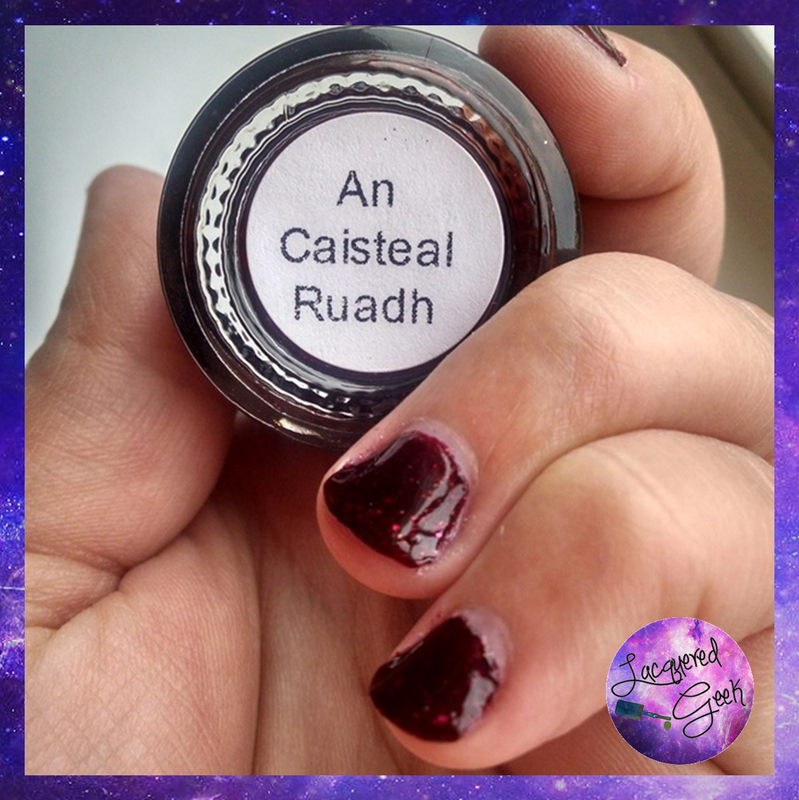 An Caisteal Ruadh is described as an "oxblood red jelly with a mix of gold and silver flakes and copper shimmer." The polish was inspired by the brick of the castle of the same name in northern Scotland. I seriously did not want to take this off! I completely fell in love with it! And I LOVE the new flatter brushes. They aren't too wide for my small nails. The formula was just perfect! The first coat went on sheer, but it was opaque in 2. I added a 3rd coat just to get more flakes. 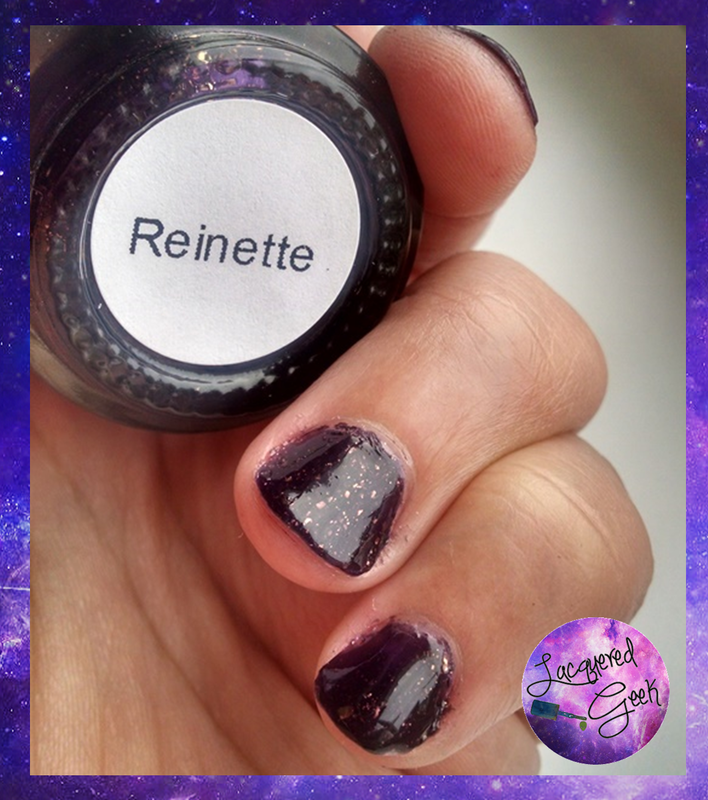 Reinette is gorgeous "blackened plum with copper flakes." As soon as I saw the name of this one, I immediately thought about "The Girl in the Fireplace" from Doctor Who. 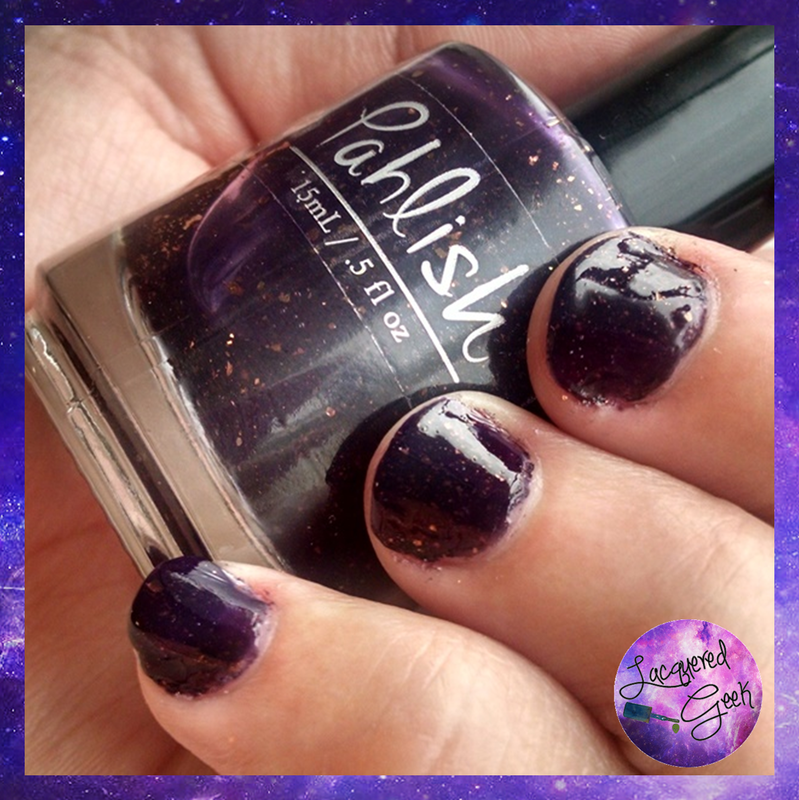 It's one of my favorite episodes, and it was the inspiration behind this polish! The formula was a bit thicker than An Caisteal Ruadh. Next time I wear it, I think I may add a little thinner to it. The photos show 2 coats topped with a top coat. 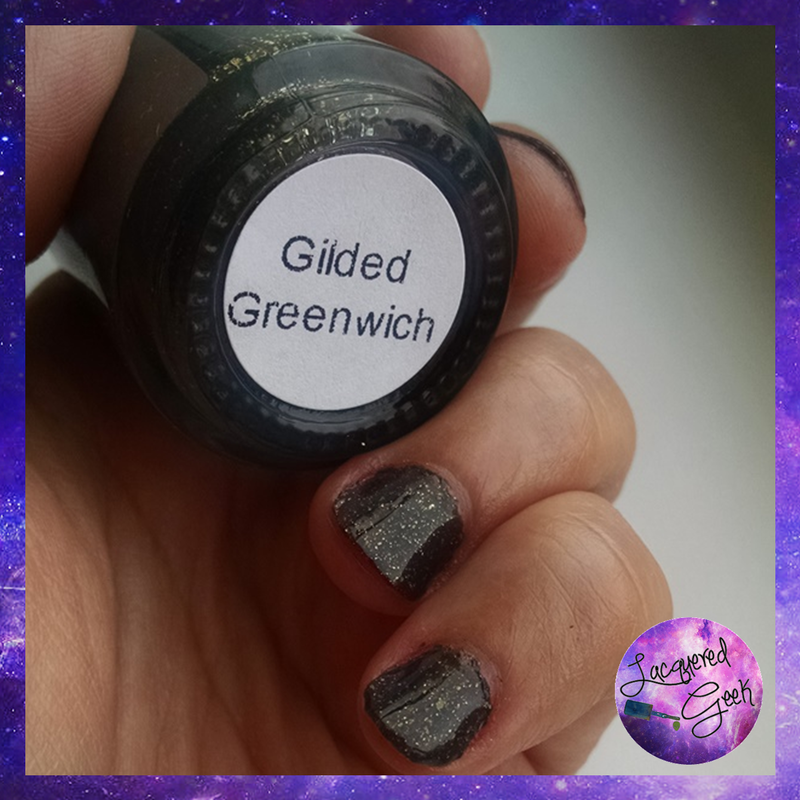 Next up is Gilded Greenwich, a "dark charcoal grey with two types of metallic gold flakes." It was designed to resemble the distinctive Greenwich armor of King Henry VIII. In certain lights, I thought that the polish had hints of green. The formula of this one was more like An Caisteal Ruadh's - it was fantastic. I'm wearing 2 coats on the photos below. 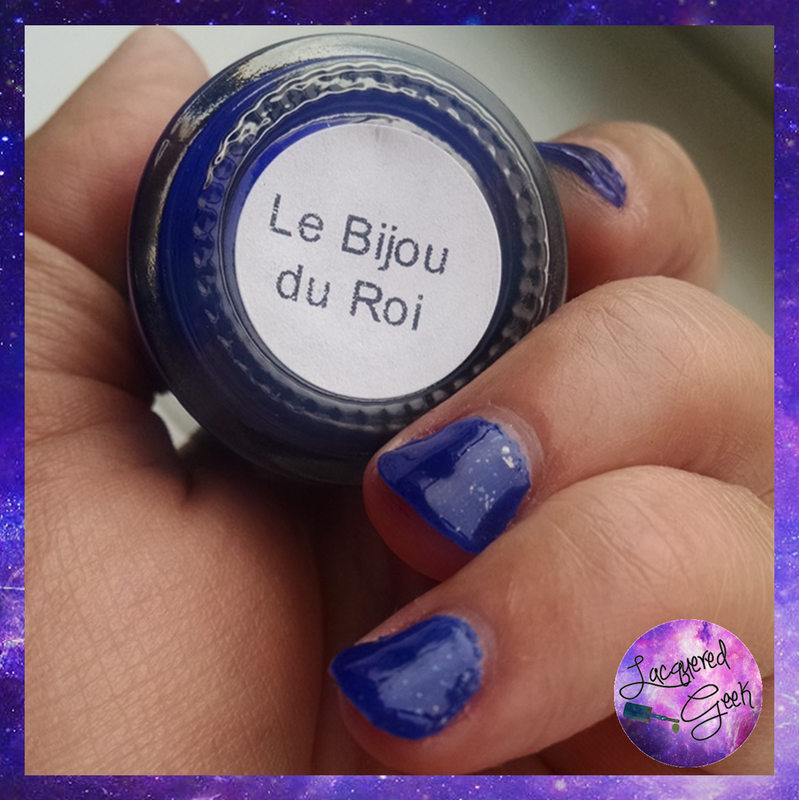 Lastly, I have Le Bijou du Roi. 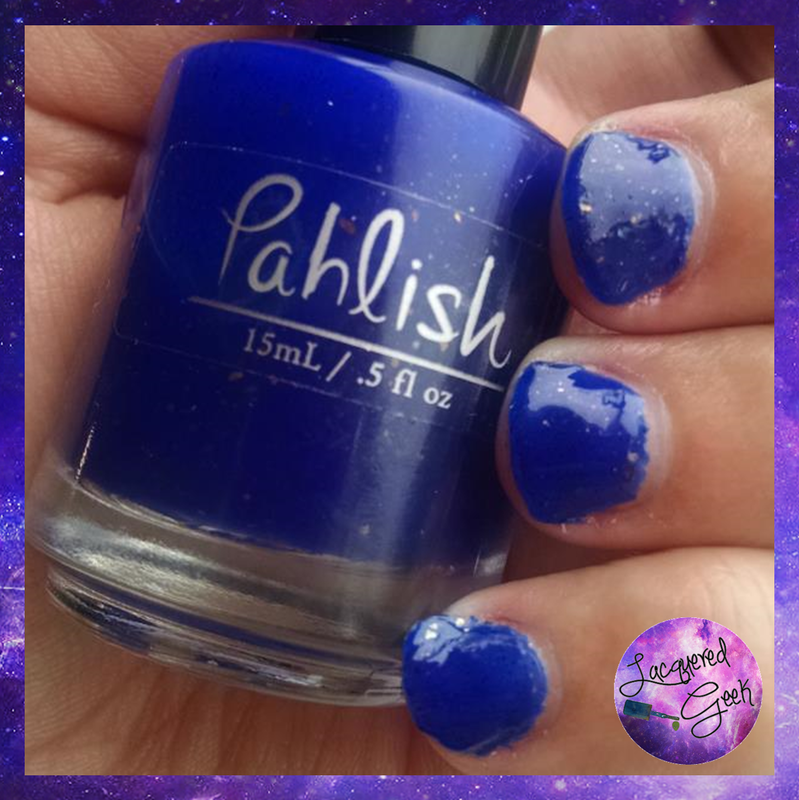 Inspired by the cursed Hope Diamond, the polish a "vibrant, deep royal blue with copper flakes." It is so bright! The polish on this one was more like Reinette's; a little thick. I'm wearing 3 coats in the photos below. Between then 2nd and 3rd coats, I added a bit of thinner to it, and it made the 3rd coat go on much easier. Without a doubt, An Caisteal Ruadh is my favorite! I have a feeling it will be making its way onto my nails again very soon! Which is your favorite? 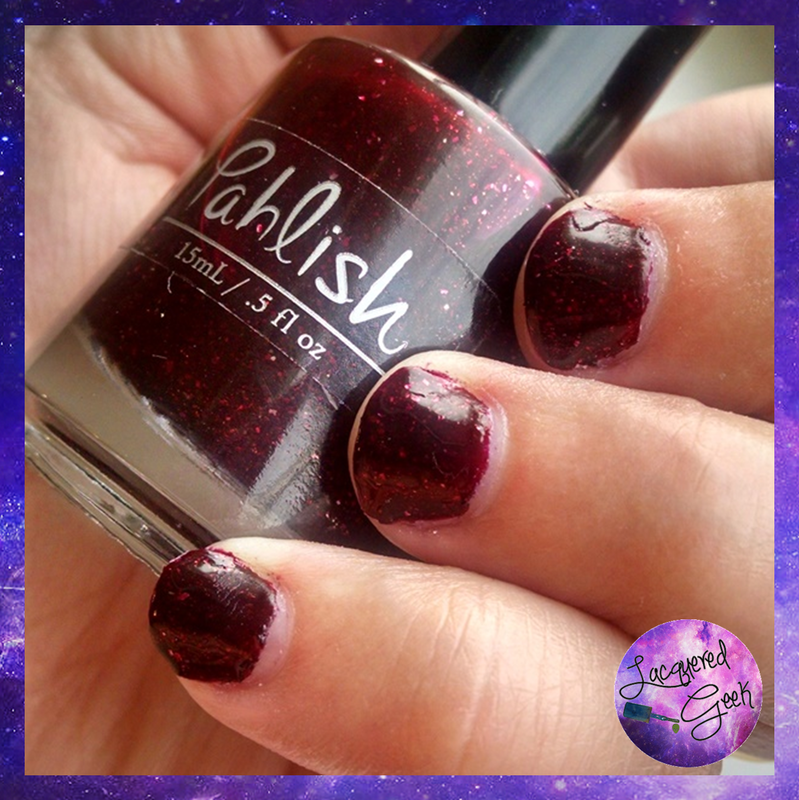 Pahlish has quickly become one of my favorite polish makers. Not only does she have great collections, but on most Fridays, she releases Bespoke polishes - small batch polishes . Restocks are each Friday at 7:00PM CST. She is also having a small sale tonight on the Royal Reverie collection! Definitely go check it out! Great review Kim! 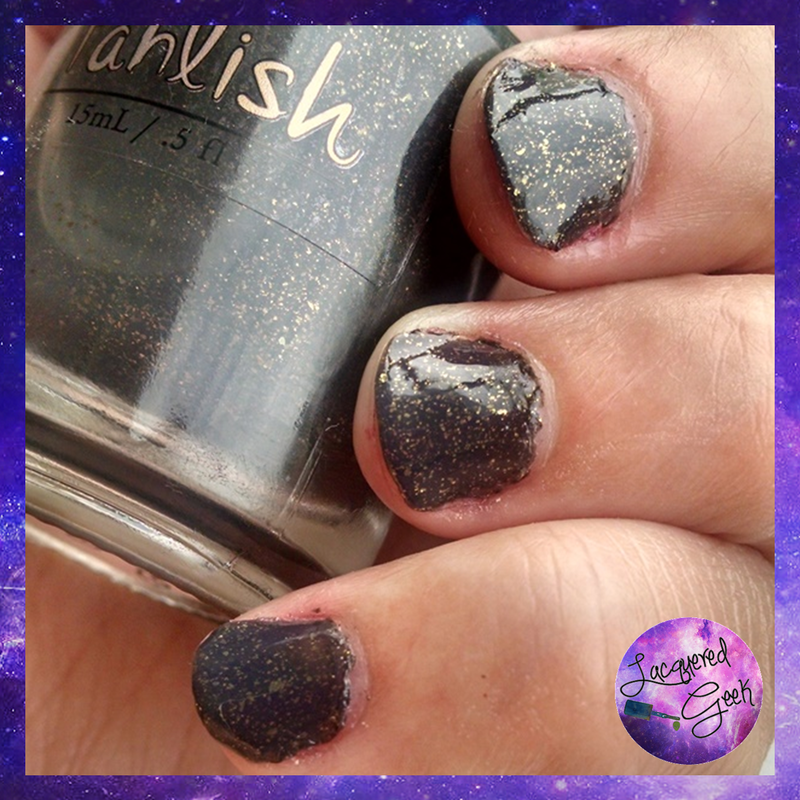 I love Pahlish and I'm trying to decide if I *need* An Castiel Ruadh and Gilded Greenwhich.